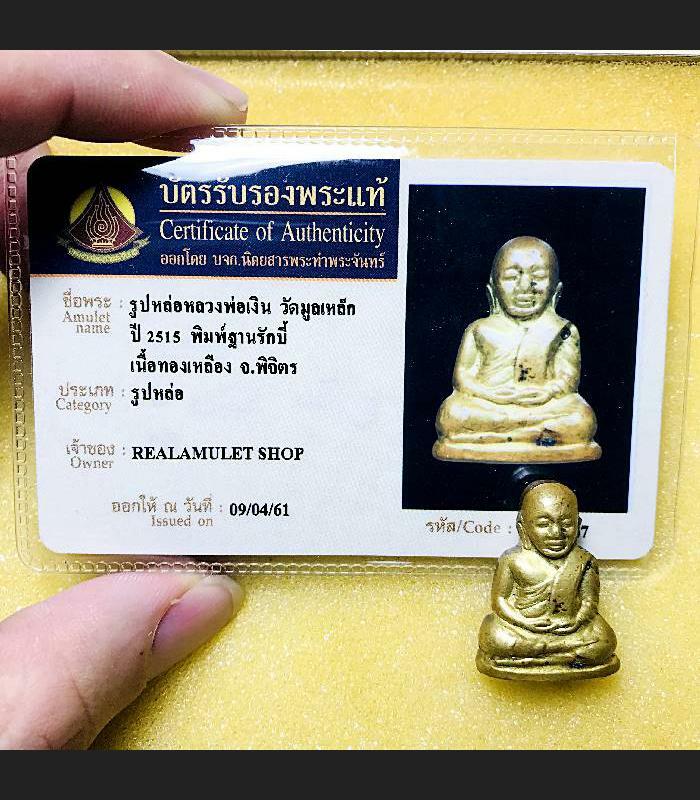 Item 名稱: THAI AMULET LOOBLOR LP NGERN BE.2515 MEDITATION PEACE MINIATURE BRASS +CERT. THE LP NGERN WAT BANGKAN BE.2515 AMULET is very famous and people still not understand yet with whole of them Because of the large number of different model almost 100 variants, I do not think it is common knowledge. In fact, this may help clarify some of the complexities of the LP Ngern be.2515 amulets if know as it did not issued only one temple Wat Bangkan , but there are other more 7 temple join to made and blessed with same ceremony. 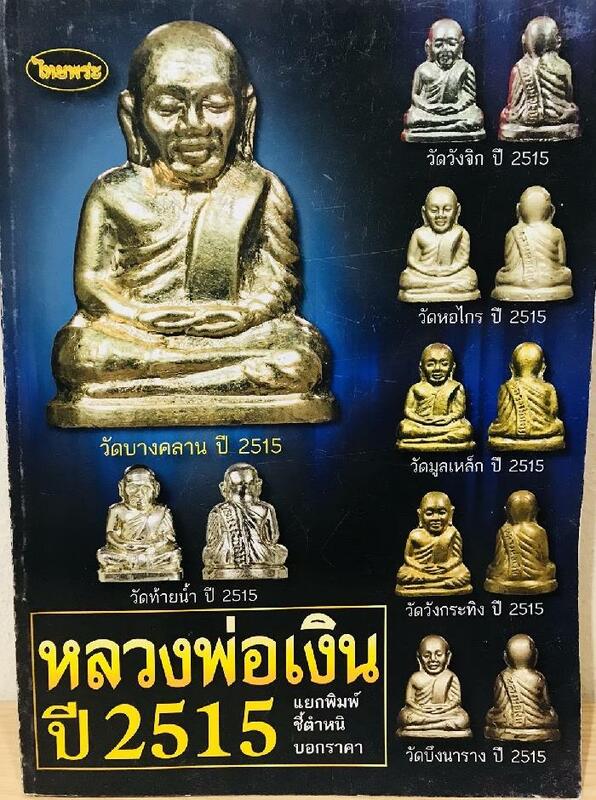 Background: Begin on the years 1972 (be.2515), LP Peung who was current abbot of wat bangkan want to made amulets for help people whom do merit by donate money for build and renovate his temple. However on that time his temple has no enought budget to made a lot of amulet for every peoples, so LP Peung was resolved problem by invite other temple to join made more amulets and send to blessed together in same ceremony with his amulets. First at all each temple will send the holy metal which written spell alphabet to wat BangKan for do ceremony (blessed by 74 famous monk) and got them back to each temple to created amulet. after each temple finished created amulet, Those amulets has been send to blessed in two bigest ceremony. start at Wat Suthat (Bangkok) by 127 famous monks chanted on 5 DEC 1971, and send to blessed again in ceremony at Wat Bangklan by 96 monks chanted all day all night on 20-30 Jan 1972.
then after finished. on 31 jan 1972 is first date launch LP Ngern be.2515 amulet to public and All these of 7 temple edition were blessed at the same ceremony and become to famous with most successful series ever to have been created. These LP Ngern be.2515 every edition will have a ball inside the base (Kring) so it have to got sound when shake it. 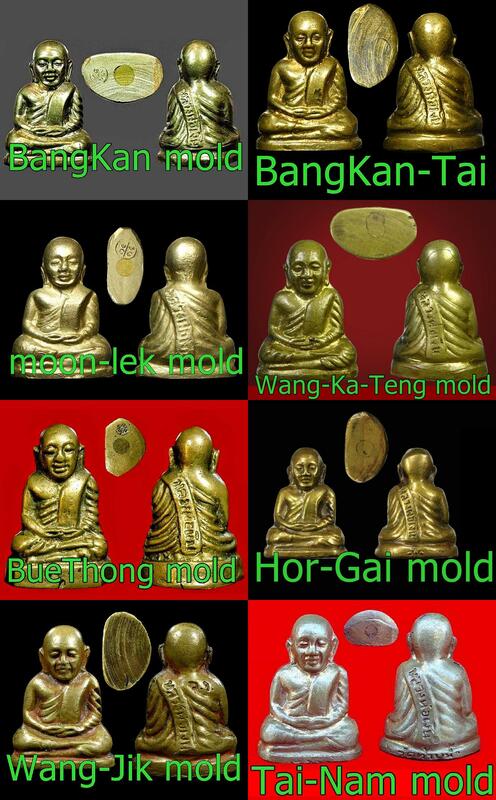 Although each temple will use mold of WatbangKan to prototype but each temples will created new mold or new code with own design for easy indentify. This following 7 temples was joined to made amulets and indentify of each temple style. 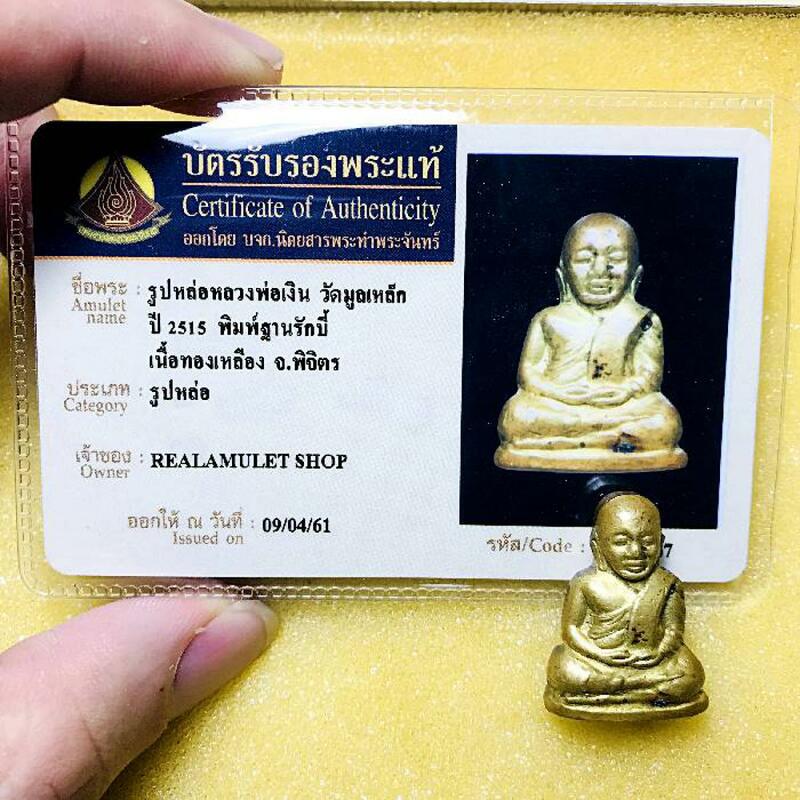 LP Ngern Amulets In particular the Roop-Lor (miniature) have been accepted by most experts as one of the kingdoms most enduring and popular amulets, Top rating amongst the great mold same as Somdej Wat Rakhang. They are highly respected for the power to protect worshippers from dangerous whilst also increasing fortune, charm, and bring successful life. Also Help to Successful in everything that you do, Overcome all barriers in life, Business and sales luck. Rich more rich more forever. รูปหล่อ หลวงพ่อเงิน วัดบางคลาน ปี15 ลักษณะพิมพ์ทรงจะทำเหมือน รูปหล่อโบราณรุ่นแรก พิมพ์นิยม แต่เป็นการใช้เครื่องจักรปั๊ม ในองค์กลวง บรรจุเม็ดกริ่ง ปิดก้นด้วยทองเหลือง วัดขนาดโดยประมาณ จะมีฐานกว้างประมาณ 1.6-1.7 ซ.ม. ความสูงจากฐานถึงยอดพระเศียรประมาณ 2.4-2.5 ซ.ม. ส่วนทองเหลืองกลมที่อุดก้นฐาน จะเรียบเสมอกับฐาน และมีเส้นผ่าศูนย์กลางประมาณ 4.4-4.5 ซ.ม.